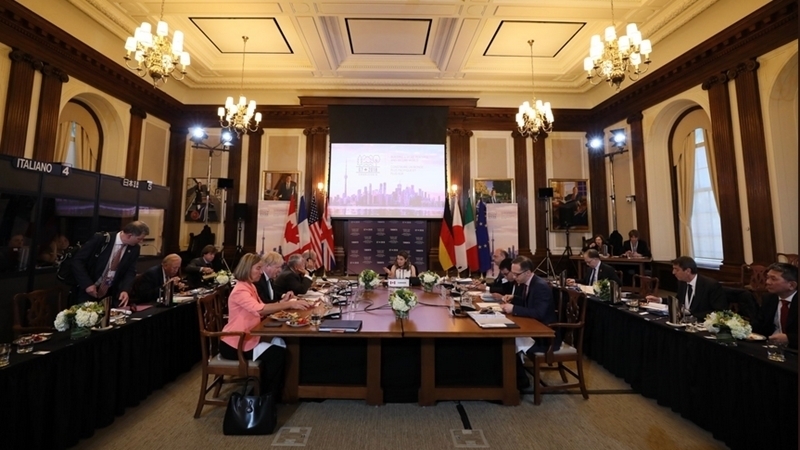 The Foreign Ministers of the G7 countries stated that sanctions imposed on Russia should be continued, according to the message of the Ministry of Foreign Policy of Canada on Twitter. “Minister Freeland and G7 Foreign Ministers reaffirmed our shared respect for rules-based international order, including on territorial sovereignty. Sanctions imposed on Russia after its unacceptable actions in Ukraine will continue," reads the message. QHA reported that the European Union could increase sanctions against Russia because of the failure of the Minsk accords. Lithuanian Foreign Linas Linkevičius said that sanctions against Russia should be extended for 12 months, not 6. However, he stressed that Europe will closely monitor the actions of the Kremlin.